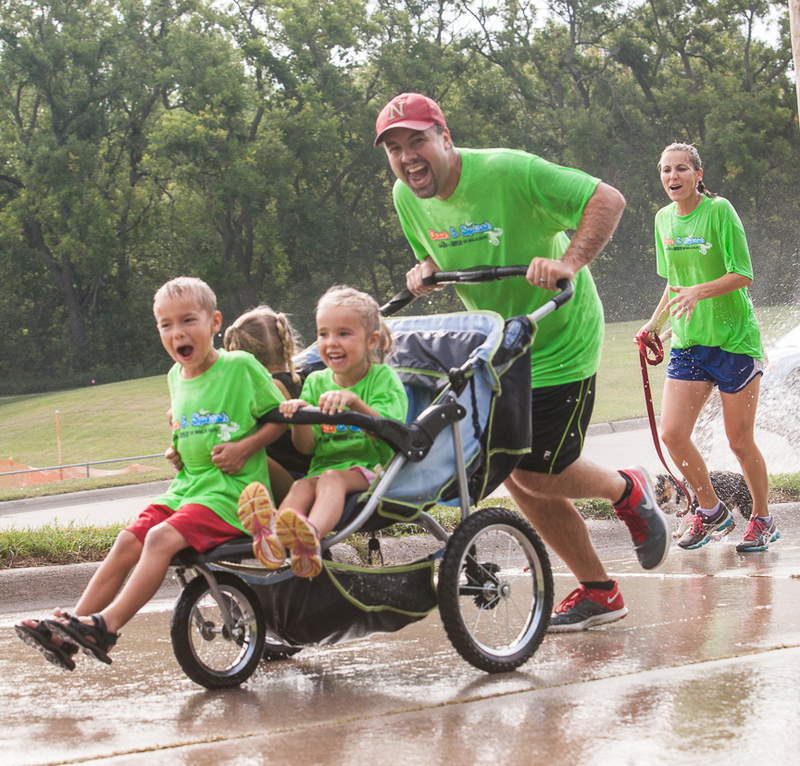 Nearly 200 participants and – some in strollers and 40 volunteers took part in the Memorial Community Hospital and Cargill sponsored Dash and Splash on Saturday, August 16. The event is a fund-raiser for the Memorial Community Hospital Foundation. Brandi Nicholson pushes Taya Templar through a show of water Saturday during the Dash and Splash. 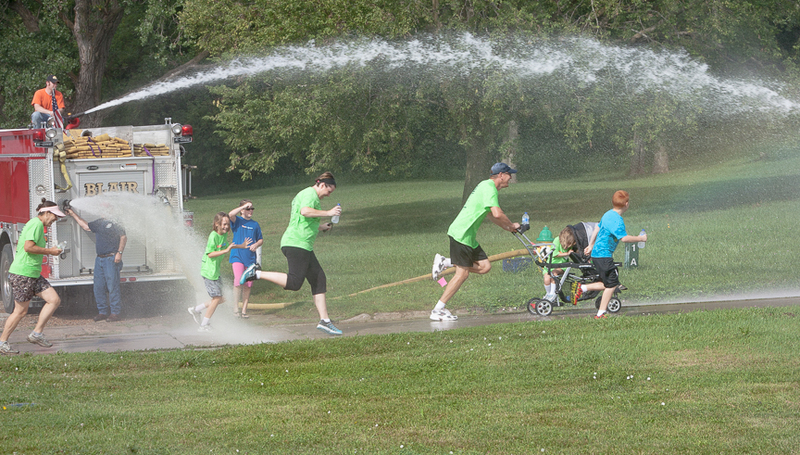 Runners sprint through spray provided by Blair Volunteer Fire Department personnel. Kinzie and Kendra Lorence run through spray. Johannis family running through spray at College Drive. 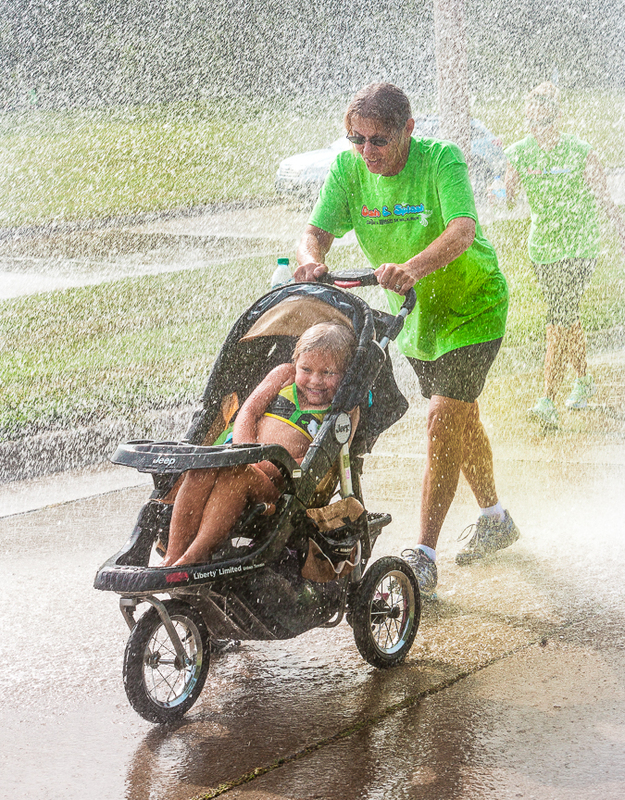 Oliver and Scott Weyrich get soaked as they run through the Dash and Splash course. Boys running through spray along Hansen Drive. A dad helps son across College Drive. Erin Field pushing Adale, Isaac and Cadence across College Drive. Jacque Fischer runs through spray. Runners make their way though a show of water along Hansen Drive provided by Blair volunteer Fire and Rescue. People running through spray along hansen drive. Young man runs through spray. Woman running along Hansen Drive. Runners sprint through spray provided by Blair Volunteer Fire Departmenr personnel.